1. [POWERFUL & SAFE] 180W Motor. Built-in new designed over-heat protection system will recover the whole machine in 15 minutes if you accidentally mis-operate it. 2. 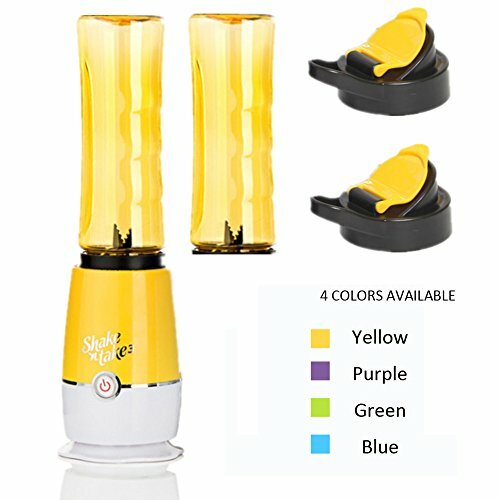 [EASY & TRUSTFUL] No need to wash extra bottle, blend and drink from the same one. Use the well designed excellent sealling performance bottle cap in the kit, take the drink with you and head for work, school,gym. 3. [BPA FREE] CCloud safe BPA free sport bottle help you to prepare the whole day water intake plan. The perfect size for a light meal or treat at work. 4. [PORTABLE SIZE] The base part of mixer won't take too much space in your kitchen, easy to store and use. 5. [Recipe Included] CCloud 3rd Generation Smoothie Blender includes an useful recipe to suggest nutritious combination for you daily choice.